This summer, I decided to do something very contrary to who I normally am as a person. Instead of doing practical things such as sinking my teeth into an internship, or working on personal skills to add to my resume, I decided to splurge my resources, and travel. In the past six weeks, I’ve gone through Vietnam, Laos, Cambodia, Thailand, and Myanmar. Every country was amazing in its own way, and for my first set of blog posts in a LONG time (it’s hard to write a post with a smartphone and extremely limited wifi) I decided to split it into two sections. The first part will be titled “Cool Stuff From Traveling” and the second titled “Cool Stories from Traveling”. The first is this post, the second will be posted in a couple of weeks. While many people in America love to drive around big pickup trucks, they usually have little they need to haul around. However, in many Southeast Asian countries, people have lots of things they need to haul around, but they can’t afford a pickup truck. Due to this fact, lots of farmers have become very inventive with what they can afford, creating things such as the modified tractor engine below (found in Laos). Increased horsepower, 2 small wheels removed, 1 big wheel added on, and a wagon attached to the back all help to complete this marvelous innovation. In addition to this, I found several cars that had been stripped down to the bare essentials (basically a car engine, four wheels, axles, and a seat). Unfortunately, no picture of this one though. While gold leaf is a generally common object, I found that it was handmade in Myanmar. Going through nearly 20 hours of hammering altogether, gold sheets are flattened out to the thickness of a butterfly wing. This creates not only a valuable covering for different objects, but also a tender hand made object. 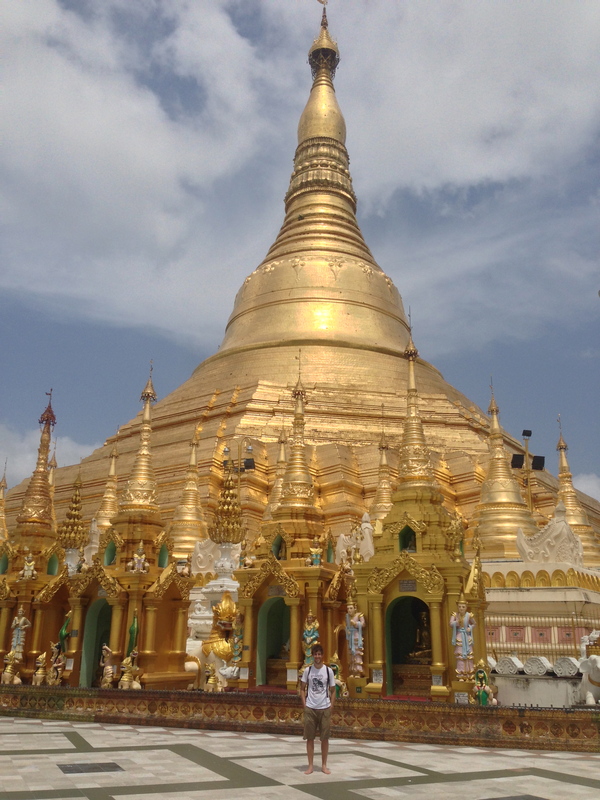 Because of this gold leaf, structures such as the Shwedagaon Pagoda, which was built 2500 years ago and has 5 tons of gold covering it, can be decorated for everyone to appreciate and worship. This kind of had to go on the list. The Great Wall is huge (obviously), though I don’t think it can be seen from space as most textbooks claim. Large portions of the wall are built on mountain ridges, making it even more difficult to climb over (and walk up to if you’re a tourist). I don’t believe this is the fastest high speed rail in the world, but it did go up to around 300 km/hr, which was astonishing. The Tufts group and I rode the train from Kaohsiung (southern coast of Taiwan) to Taipei (northern coast of Taiwan), and it only took an hour and a half! Like I said in an earlier post, the public transportation and rail systems of Asia’s 1st world countries absolutely destroy those of the United States. 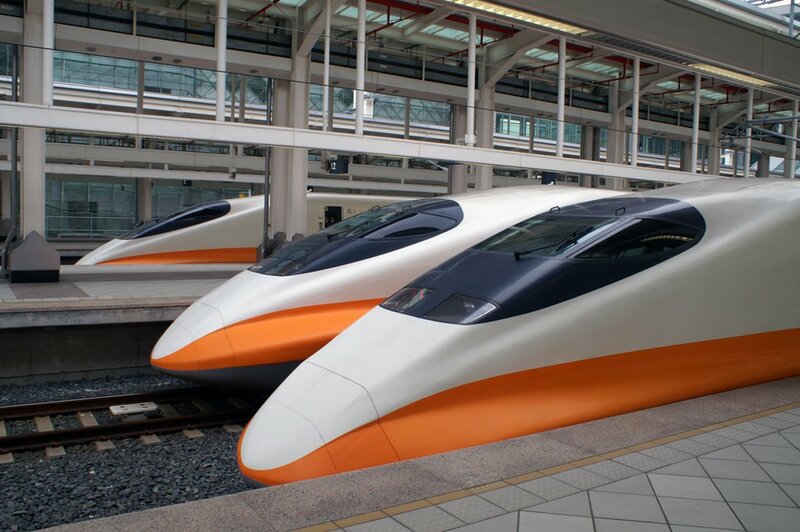 Note: photo is off of the internet, I forgot to get a picture of the high speed rail. When you’re traveling through the rainforest, it’s a little difficult to carry along your pots and pans with you. And while backpackers in the states usually have super lightweight pots and mini gas stoves, that’s obviously not a luxury I found in laos. 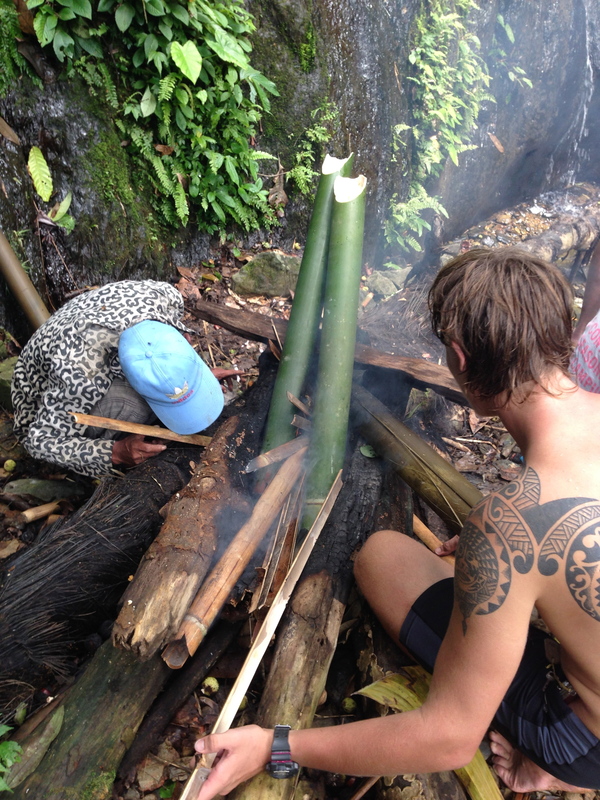 That said, we were taken on a wonderful hike by a man named Capitan (part of my Laos story that is in the next post), and while we were in the middle of the jungle, he made us a fantastic lunch using only things he found in the forest. Bamboo pots he created to boil mushroom soup. 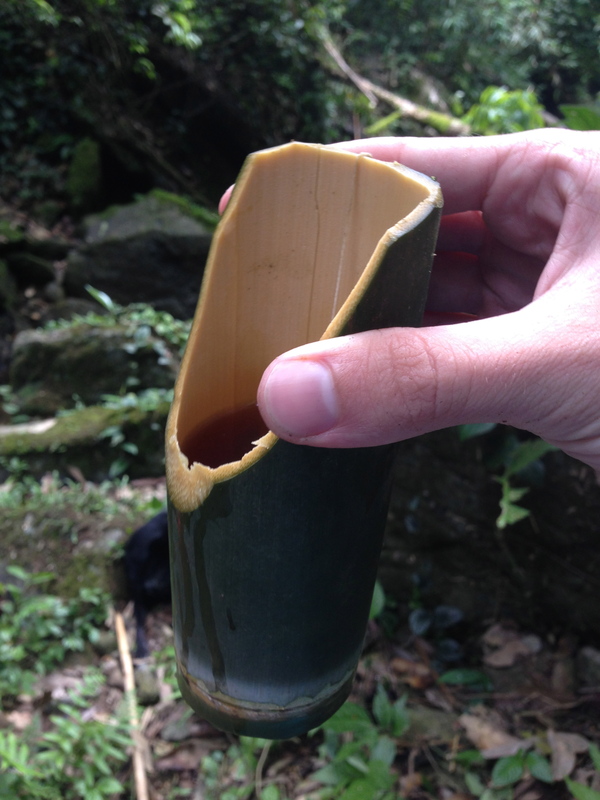 A bamboo cup he made. Best souvenir ever! If Disneyworld became a city (not that it already kinda is), Singapore would be it. Everything in this country is super clean, man-made, and sparks some pretty fantastic imagination. Walking down around the main harbor, you can see the Marina Bay Sands Hotel, Merlion Hotel, and entire Financial District. Giant gardens lie off behind the Marina Bay Sands, and the magnificent Singapore Flyer ferris wheel is just to the right. The metro is blazing fast and there’s an island filled with man-made beaches and theme parks. 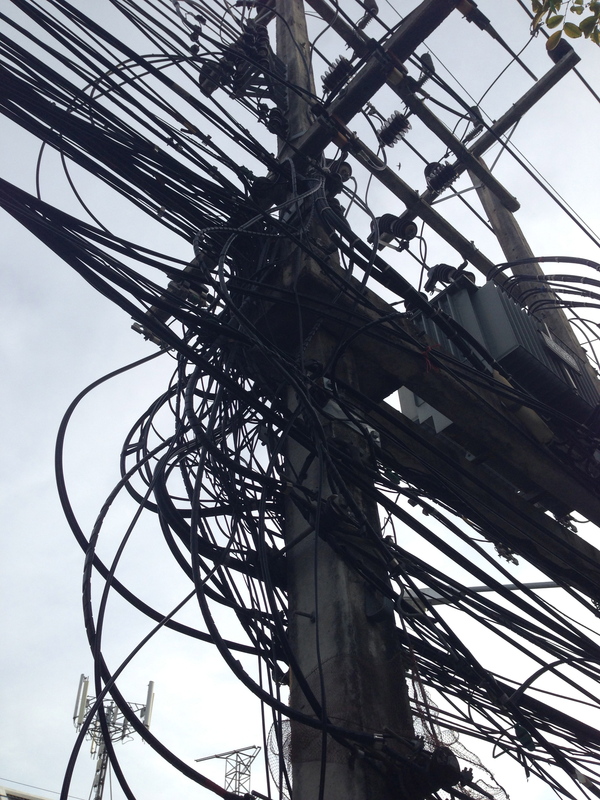 In this case, the power lines in Vietnam and Thailand are pretty much the opposite of innovation and invention, but as an EE I found the electrical systems in these two countries completely haywire (no pun intended). While this went for most of the developing countries I was in, Thailand and Vietnam had it the worst. Cables and cables were piled on top of each other, loose wires with dangling ends were hanging from parts of the cables, and extremely dangerous electrical hazards were completely ignored. They even sell t-shirts in Vietnam saying “Vietnamese Electrical System” with power lines just like the picture below. While Angkor Wat, an ancient city of the Khmer Empire and the largest religious monument in the world, is one of the highlights of Asia, Bagan is a much lesser known but just as fantastic ancient city. Filled with over 4000 temples, this former ancient city is one of the pinnacles of ancient Burma. Temples, each filled with various Buddhas, dot flat farmland all over this countryside. The sheer number is astonishing and it’s almost surreal to bike through the area just looking at the thousand year old structures that pass you by.